LLLT reduces pain and inflammation and promotes the healing and repair of tissue damage. The effects are photochemical – LLLT stimulates the mitochondria in your cells to produce more cellular energy and therefore repair more quickly. What is LLLT used for? LLLT is primarily used for pain relief and wound healing. We use it to treat a variety of conditions like osteoarthritis, sprains and strains, neuralgia, wounds and leg ulcers, back pain and neck pain. It can also be used to help smaller, superficial bone fractures heal quicker. 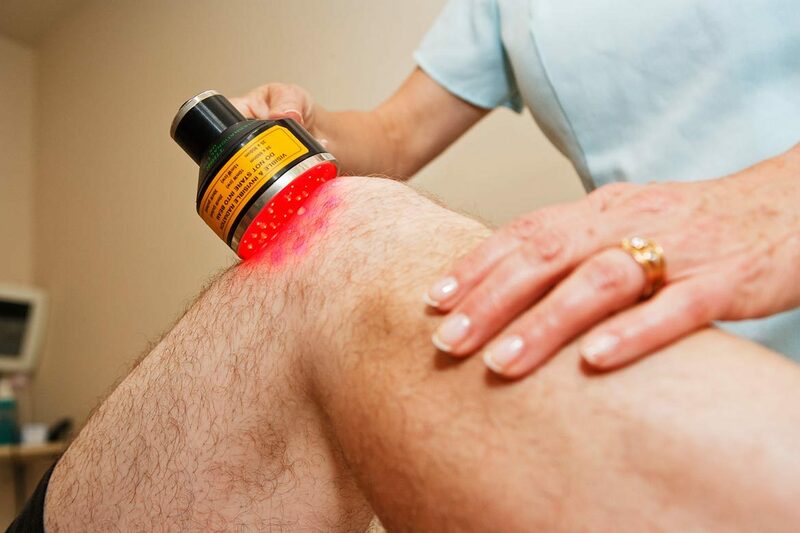 Low-Level Laser Therapy is used by team therapists for Olympic athletes and Premier Division footballers to get them back on top form as quickly as possible. A significant reduction of inflammation within two hours. Pain relief that lasts for up to 48 hours. A reduction in the healing time of tendon pain and injury of up to 70%. How often will I need it? Treatments take about half an hour and you should ideally have it two to three times a week. In August 2010, The Lancet reported that the above-mentioned systematic review of LLLT for neck pain was in their Top Twenty Most Downloaded Papers of 2010.